Maintain Buy; unchanged target price of $2.63. Earnings for ComfortDelGro (CD) over the last few quarters had been eroded by competition from ride-hailing apps, start-up costs for Downtown Line Stage 3 (DTL3) and negative currency impact. In this report, we highlight the three swing factors which in our view will lead to FY18e earnings growth. Service quality incentives for bus services performed in FY17 under the bus contracting model (BCM) to be recognised in FY18e, which we estimate to contribute an additional $9mn to ComfortDelGro's FY18e PATMI. SBS Transit will also take-over the Seletar package in 1Q 2018, and we estimate this to contribute an additional $4.2mn to ComfortDelGro's FY18e PATMI. Bear in mind that SBS Transit is 75%-owned by ComfortDelGro and only 75% of SBS Transit's NPAT flows to ComfortDelGro's PATMI. This comes on the back of the commencement of DTL3 on Oct. 21, 2017. We are expecting 47% YoY higher revenue in FY18e for DTL, with corresponding higher variable opex – specifically electricity costs. Staff costs in FY18e should remain comparable with the start-up phase seen in FY17e. While DTL will remain loss-making in FY18e, we are expecting $18.9mn YoY higher PATMI contribution for ComfortDelGro, due to the narrowing of DTL operating loss. Monthly data from the Land Transport Authority shows that Rental cars population growth rate had peaked and stagnated from mid-2016 to mid-2017, and has since moderated downwards. On the acquisitions front, we are of the view that the strategic alliance with Uber through Lion City Rentals (LCR) should bring near-term respite, with the profitable LCR operations partially offsetting the lower Taxi earnings. We currently estimate $13mn YoY lower PATMI from Singapore Taxi business in FY18e. Pending the outcome of the public consultation, our forecast does not include the impact of the proposed ComfortDelGro-Uber strategic alliance. We have a "Buy" on the stock, as we see earnings bottoming in FY17e and the dividend yield of 5.2% is attractive. According to an early media release on Oct 3, 2014 by the LTA for the first bus package, bus operators under the BCM are subject to service quality incentives or penalties of up to 10% of the annual service fee. We are currently assuming a 2% incentive for SBS Transit for bus services performed in 2017. Based on our assumptions of 2% incentive and $724mn contract revenue for eight packages, we estimate $14.5mn quality incentives to be recognised in 2018 at the revenue and operating profit level, for the services performed in 2017. Note that public bus services transitioned to the GCM in September 2016, but we have assumed 12 months of incentives. Accounting for 17% corporate tax and 25% minority interest in SBS Transit, results in ~$9mn PATMI to ComfortDelGro from the service quality incentive. Contract values for the individual negotiated packages were not disclosed, but we make estimates for each of them using the total contract values of $5,322mn and $1,865mn for SBS Transit and SMRT Buses respectively, that were disclosed by the LTA in a media release on 11 August 2016. Our revenue estimates for each of the packages are based on the number of services and duration (years); they do not account for other factors such as route length and service frequency. For FY18e, we have estimated $84.1mn revenue for the Seletar package based on 10.5 months operations (assuming commencement in the middle of 1Q 2018). Assuming an 8% operating margin and 17% tax, this would contribute ~$6.7mn to EBIT and ~$4.2mn PATMI. We used the SBS Transit balance sheet to deduce the accumulated losses and quarterly loss for DTL. DTL has always been loss-making every quarter since 1Q 2012. The accumulated loss for DTL stood at $133mn as at 3Q 2017 and we estimate it to come up to $135mn as at end of FY17e. Following the commencement of DTL3 on Oct. 21, 2017, management expects DTL to breakeven in early 2019. We have assumed breakeven occurs in 3Q 2019. Hence, we are expecting FY19e to remain loss-making, and full year profit only from FY20e onwards. We have estimated $10mn loss in FY18e and $1mn loss in FY19e, narrowing from the estimated $35mn loss in FY17e. This is due to fare adjustments and the non-fare (advertising) component of revenue. Recall that there is a -2.2% fare adjustment effective Dec. 29, 2017. Rental cars population continues to grow, but at a slower clip. The moderation in monthly YoY growth rate could indicate a saturation in the Rental cars population; and equilibrium with Taxi population could be near. Based on our estimates for Singapore Taxi in FY17e and FY18e, we expect about $13mn YoY lower PATMI from Taxi in FY18e. However, this erosion is less than the incremental PATMI from the Bus and Rail segments. While Uber is loss-making, LCR is profitable. 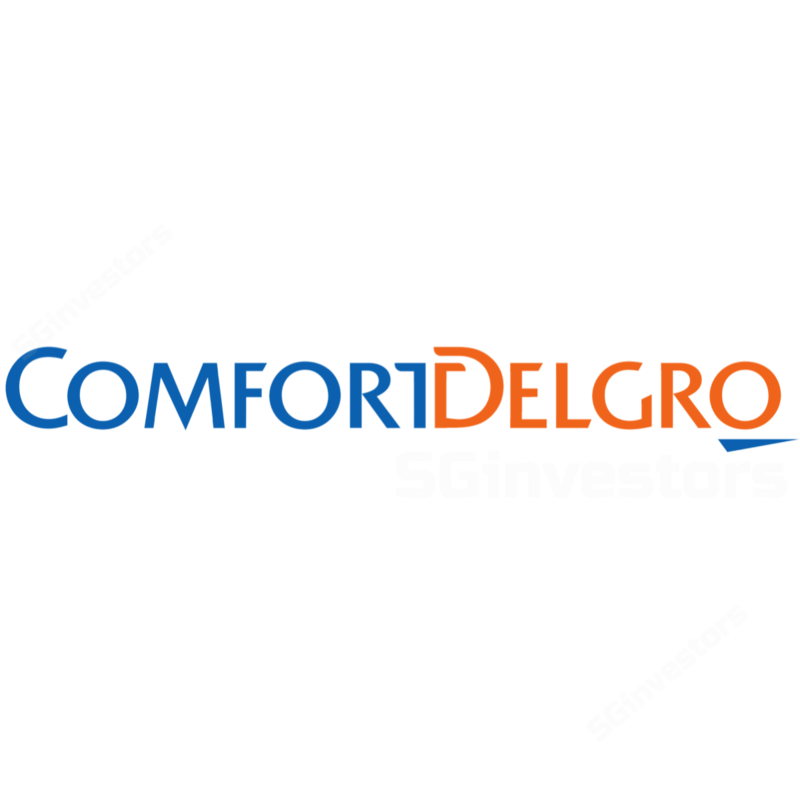 So the value proposition for ComfortDelGro in the recently announced strategic alliance with Uber through LCR is ComfortDelGro will be acquiring a stake in a profitable, albeit asset-heavy business model. In the immediate term, we view this as palatable, compared to engaging in the loss-making asset-light aspect of the PHV market.